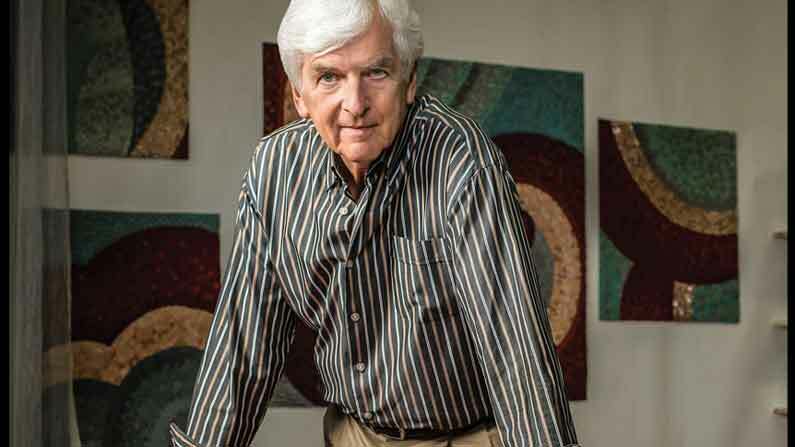 My friend textile artist Gerhardt Knodel has spend the ten years since “retiring” from the Cranbrook Academy of Art in 2007 producing one remarkable body of work after another. 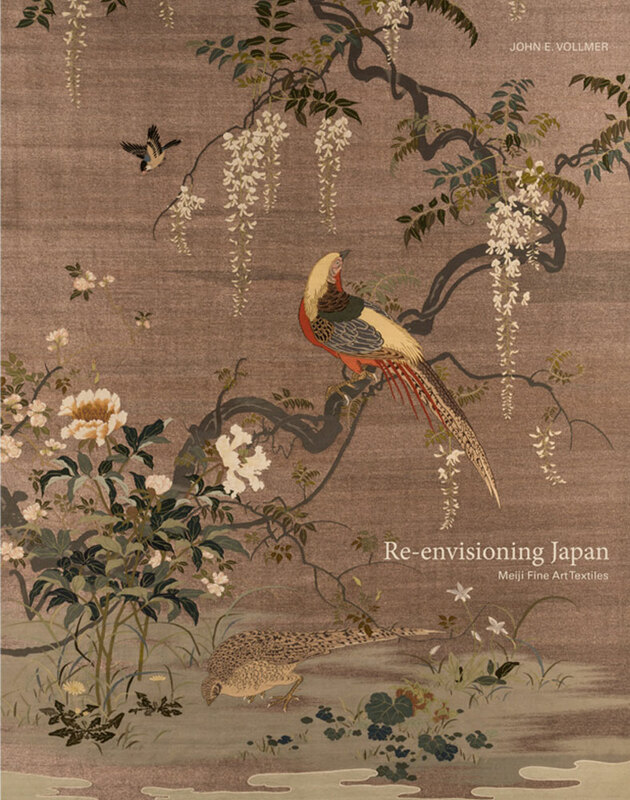 Last year he shared a still-evolving inventive series of new work inspired by fragments of a worn and degraded 16th century Chinese silk tapestry-woven coverlet. This is an ongoing collaboration with that antique fabric. 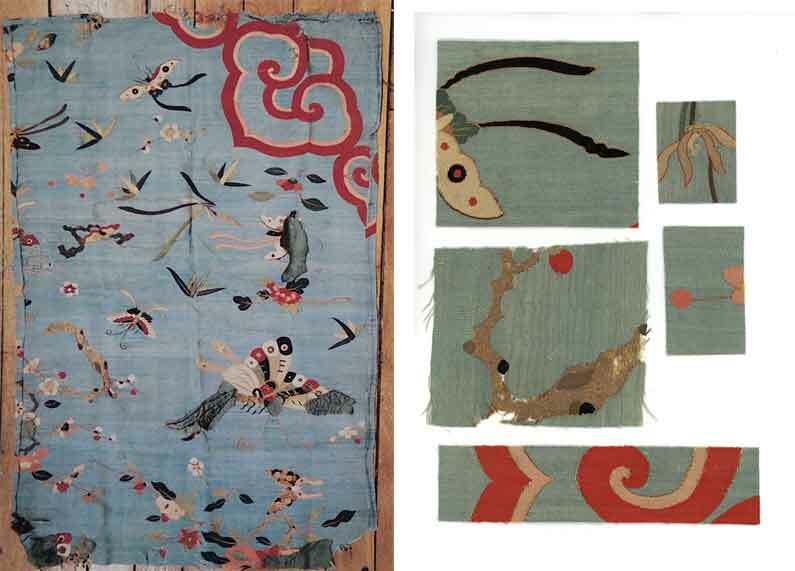 Panel from a Chinese coverlet made for the European export market, silk tapestry, Ming dynasty (late 16th – early 17th century) and a selection from the 40 or so fragments extracted by Knodel. Collection of the artist, Photographs 2017 © Gerhardt Knodel. 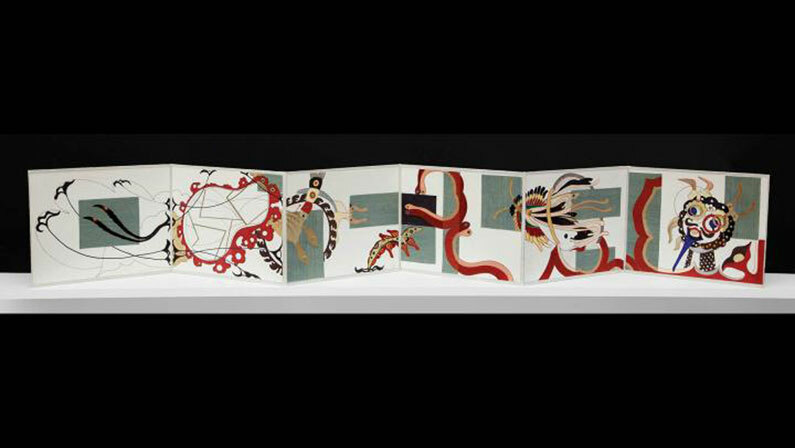 Fragments of some of the better-preserved sections of the coverlet inspired a folding book of the artist’s invention. Destiny I, 2015, 9 x 68 in. Collection of the artist, Photographs 2017 © Gerhardt Knodel. Photo blowups of the fragments serve as the genome for Knodel’s responses. These photographs are positioned on a shelf where they remain structurally independent of his work. 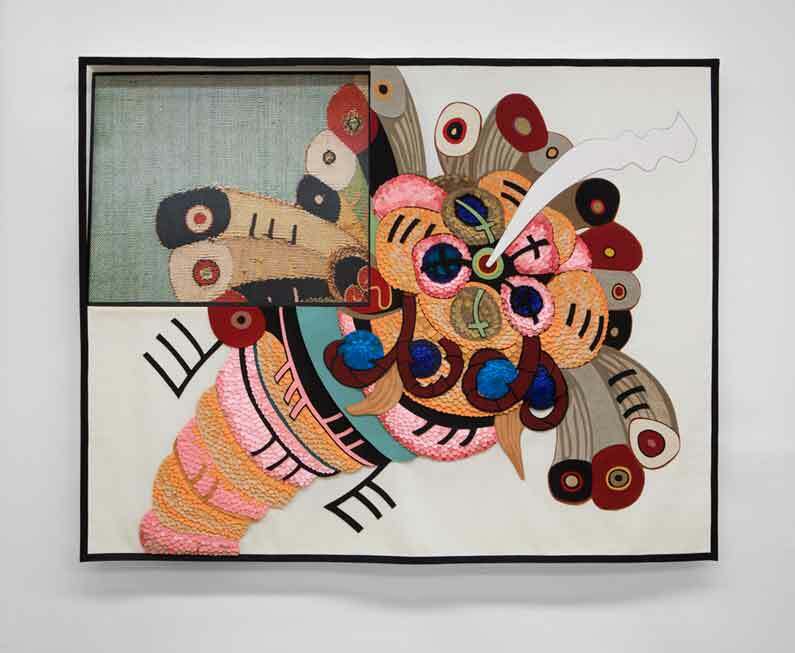 Genomia, from the second series of work, 2015, 70 x 84 x 6 in. 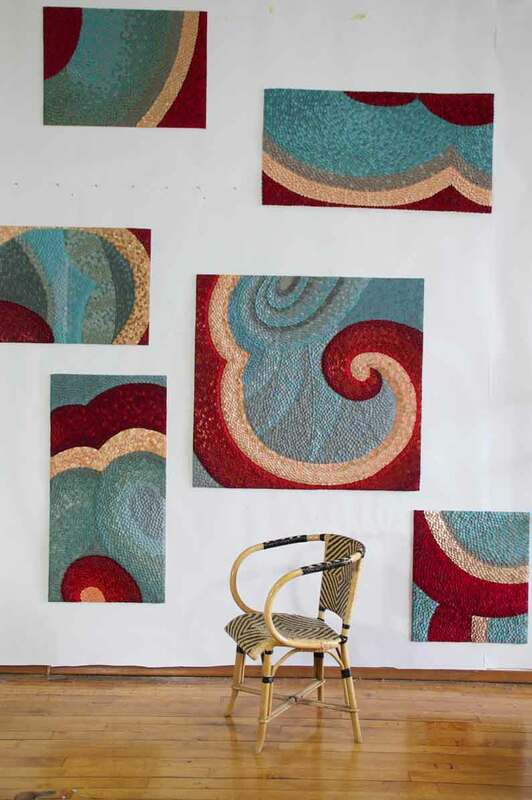 Mosiac-like surfaces are made from multiple textiles bonded together and cut with a scissors. Collection of the artist, Photographs 2017 © Gerhardt Knodel. 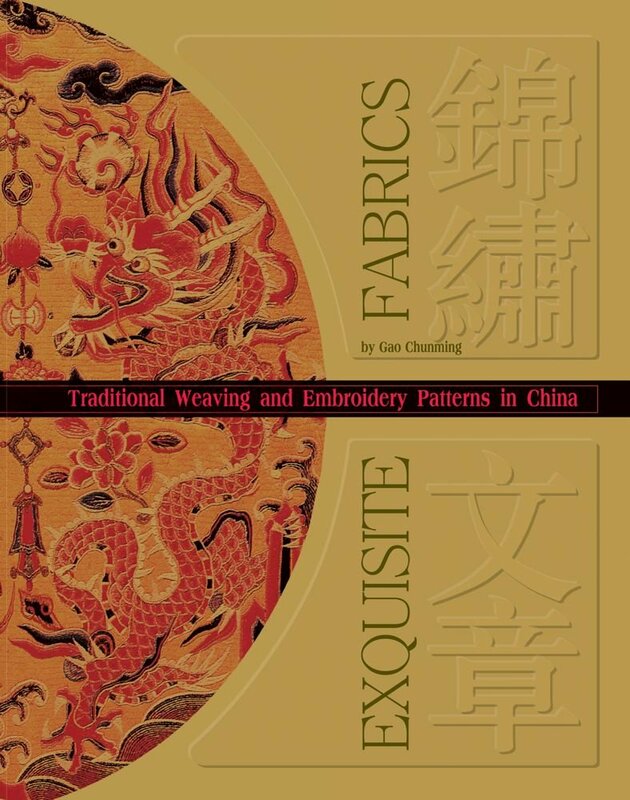 The results are stunning, mesmerizing meditations on the potential of extraordinary old and meaningful textiles to live in this moment through the artist’s attention. Knodel describes these engagements as relay races, wherein the baton is picked up, raced with, and then passed on to another runner. The artist generates new life for pieces of flora and fauna extracted from the original textile: the old mutate into other subjects. Traces of the fragment’s DNA are present in this art. 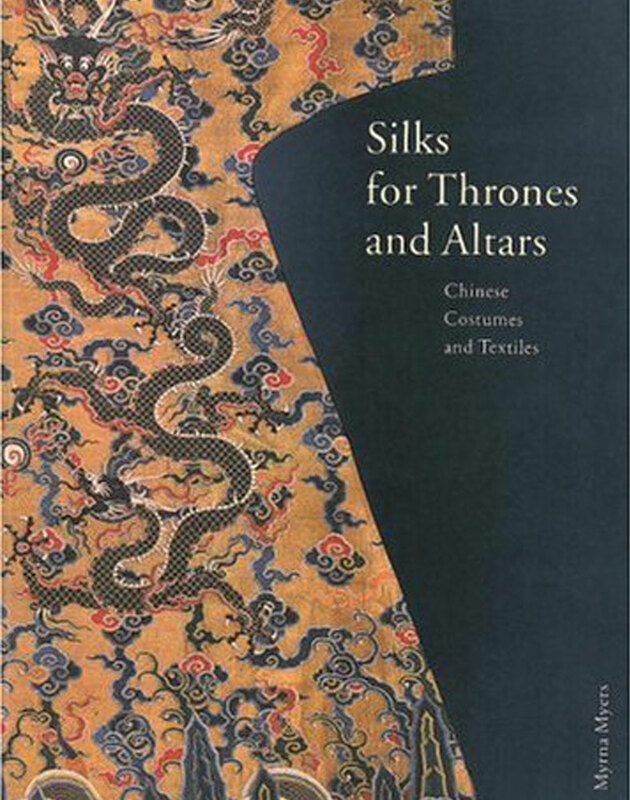 A third series evolved from the mosaic-like compositions focusing on the strong red architectural elements against a light blue ground of the original tapestry. When viewed as group on the wall, the spaces between them suggest relationships, but we the viewers are forces to make the connections. Regeneration, six components, 2016, 45 x 23 in. ; 23 x 32 in. ; 23 x 26 in. Collection of the artist, Photographs 2017 © Gerhardt Knodel. Making connections remains implicit. Perhaps when new, the original fabric adorned the bed of Portuguese grandee — a coveted trophy of lucrative international trade. But in the intervening centuries all memory of what, or when or where this fragment was or became or how it ended up in shop has been lost. It remained in Knodel’s studio collection for years: occasionally admired; often mourned for the ravages of time and wear that had reduced it to a faded scrap, until that moment it caught the artist’s imagination. As is often the case with old things, a new memory began when it came into the possession of artist. 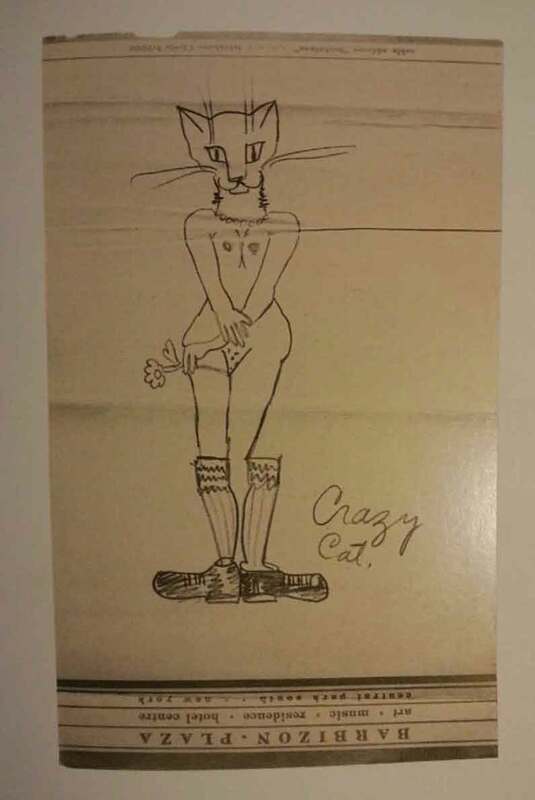 Frida Kahlo and Lycienne Bloch, “Crazy Cat” 1932. Photograph 2017 © Josh Ryals.